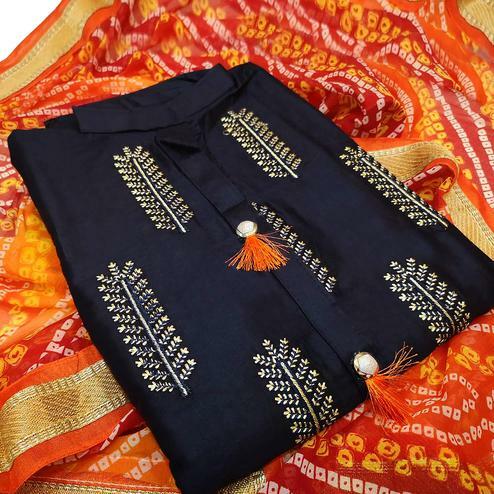 Style and trend will be at the peak of your beauty when you attire this stunning blue cotton churidar suit. Detailed with high collar neckline and button placket on yoke which makes it eye-catching outfit. This outfit is made out of cotton fabric, which is perfect for casual & office wear. 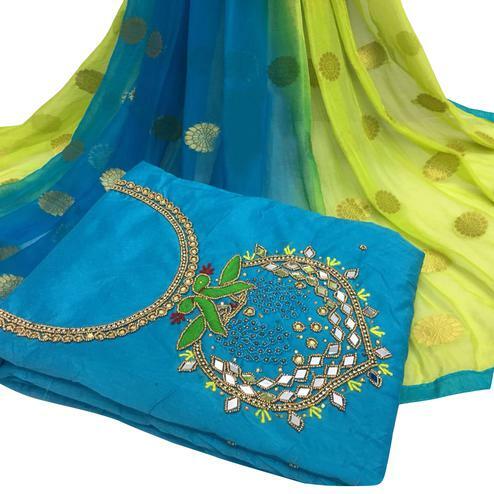 It comes along with plain cotton bottom & printed chiffon dupatta in contrast color. Get this dress material stitched and wear it for your upcoming family parties and functions.